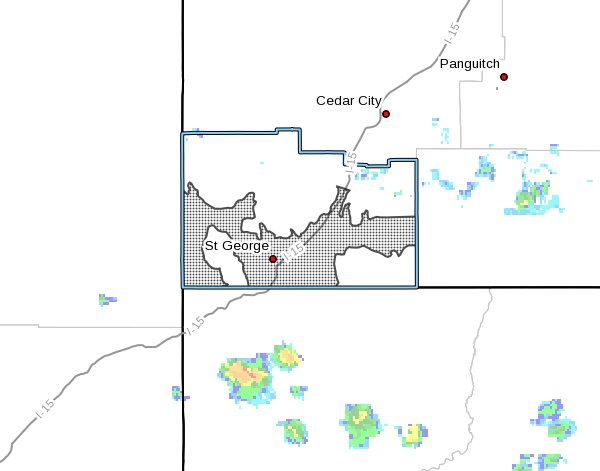 ST. GEORGE — An already hot summer is expected to reach even higher temperatures in Utah’s Dixie Thursday and Friday according to the National Weather Service’s excessive heat warning for Washington County issued for Thursday and Friday. Daytime highs are expected to be between 110 – 113 degrees with overnight lows dropping to around 80 degrees. This period of excessive heat will increase the threat of heat-related illnesses. An excessive heat warning means that a prolonged period of dangerously hot temperatures will create a dangerous situation in which heat illnesses are likely. Drink plenty of fluids. Stay in air-conditioned rooms. Stay out of the sun. Be sure to check on relatives and neighbors. The Service has also issued a hazardous weather outlook forecasting increasing moisture with thunderstorms developing across Southwest Utah Friday afternoon and increasing in areal coverage into northern and eastern Utah Saturday through Sunday. Thunderstorms will likely be dry initially, producing strong gusty outflow winds. Fire weather precautions are urged. Perfect timin’ for my visit. See ya Sunday! Are Speedos appropriate WhyMart attire? Absolutely! Wear your speedos to WalMart, everyone’s doing it LMBO! Absolutely! Just Google ‘Walmartians’ to access images of appropriate attire, especially in this heat.